It’s been a long missed feature — the lack of which we, admittedly, enjoyed too side by side — that anyone can know the last time when you used Whatsapp whenever you used it — unless, of course, you turned the Internet on your device off before opening the whatsapp till closing it (which was really fun sometimes, admittedly). But this thing is gone now. Right two days after Facebook bought Whatsapp for whopping 19 billion dollars, in a completely unrelated development, Whatsapp has upgraded its Android app to version 2.11.169, and has added quite a few interesting options. We’ve got the list of new features below, be sure to check it out. And, to update to the latest version of Whatsapp yourself, without waiting for the update to be released in Google Play store (which should be happening soon), just download the Whatsapp APK from below, and install it on your Android phone using the guide below. To locate and use these options, go to Whatsapp settings » Account » Privacy. Here’s how you can update to latest version if it has not been already pushed to you, either directly or in Google Play Store. Below is a neat and noob proof guide for installing Whatsapp manually on your Android device — this works APK of all apps and games. Transfer the APK file of Whatsapp you downloaded on your PC, to your phone on either its internal memory or external SD card. 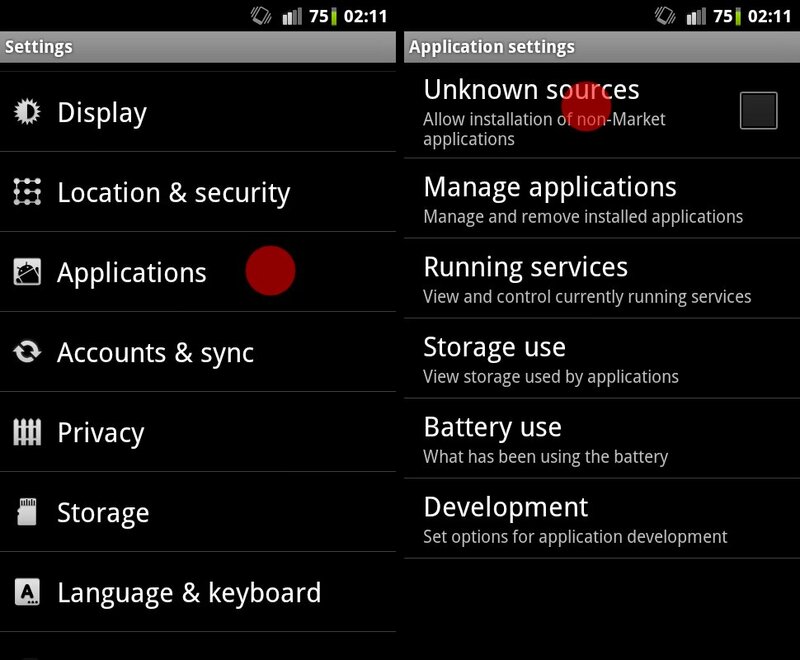 Android 2.3 (and below) → Go to Settings » Application » check ‘Unknown Sources’ box. 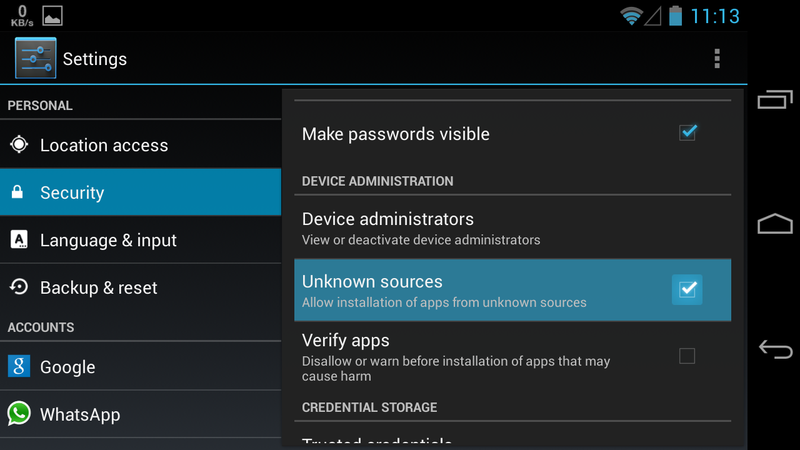 Android 4.0 (and above) → Go to Settings » Security and check ‘Unknown Sources’ box. 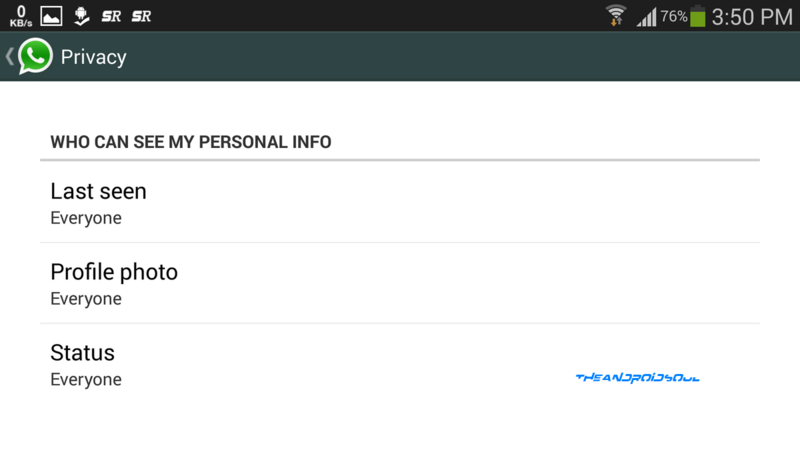 Now open the folder where you downloaded or transferred the whatsapp.apk file on your device using a file manager. If you don’t have one, we recommend the ES File Explorer File Manager app, however any file manager should work fine. Tap the Whatsapp APK file ‘whatsapp.apk’ to begin installation and you will be done in less than a minute. To locate and use these options, go to Whatsapp settings » Account » Privacy. Tap on any of the 3 options listed above to choose visibility option: Everyone, My Contacts and Nobody. Let us know in comments section below if you need any help over this.